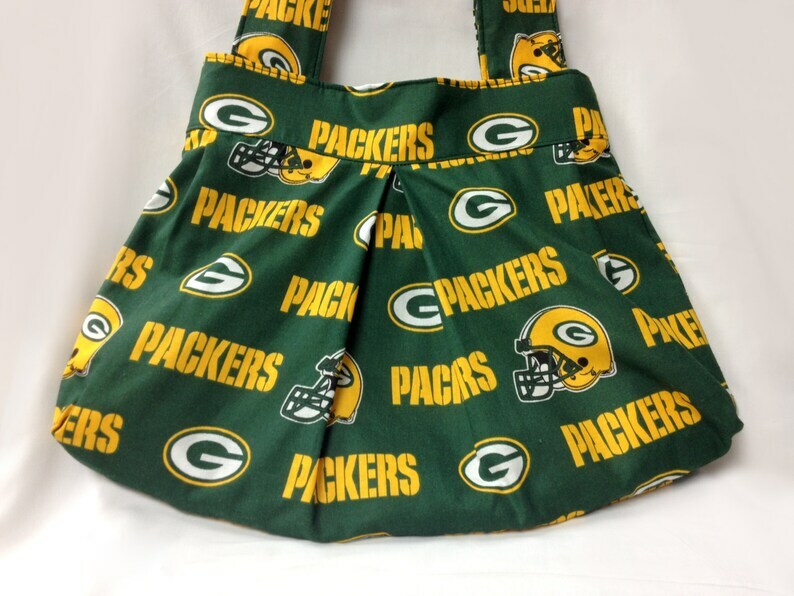 The Touchdown: A blocky, large-print Green Bay Packers shoulder purse with white cotton lining. The purse measures 12" wide by 10" high and has a magnetic snap closure. Shoulder straps measure approximately 24" long. Also available in Pittsburgh Steelers and Alabama Crimson Tide prints.